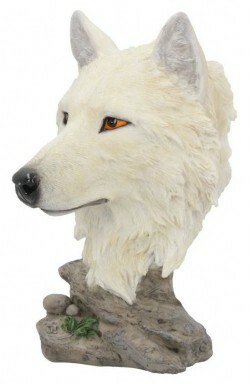 The snow wolf head is captured beautifully in this finely detailed ornament. Excellent quality and weighty ornament. Will arrive boxed within protective polystyrene casing.